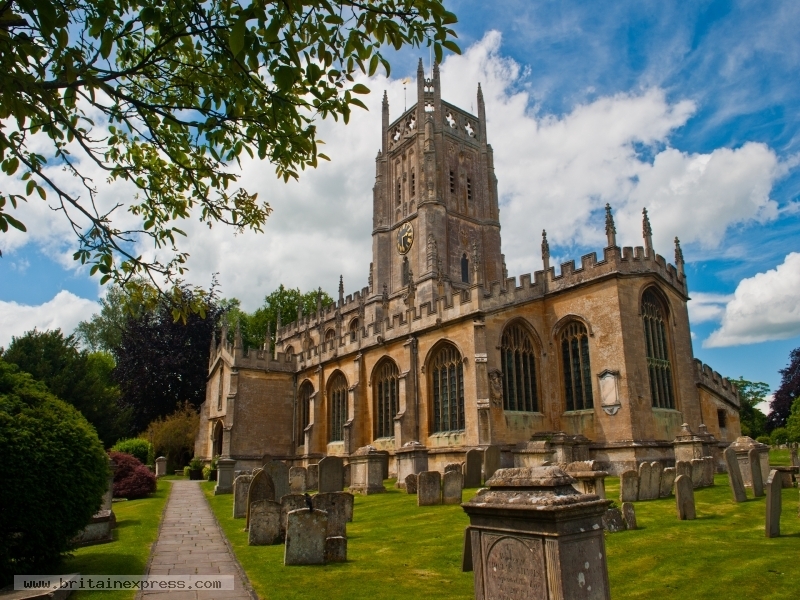 St Mary's church in the Cotswold town of Fairford is one of the finest parish churches in England, known world-wide for its superb collection of late medieval stained glass. The church owes much to the wealth of local wool merchants in the Middle Ages, wealth based on the high-quality wool of the 'Cotswold lion' sheep. I was actually on my way to see the country church at Meysey Hampton a few miles away and by sheer chance my sat nav took me straight past Fairford church. I just had to stop and visit, and was lucky enough to get this photo as the sun put in a brief appearance!